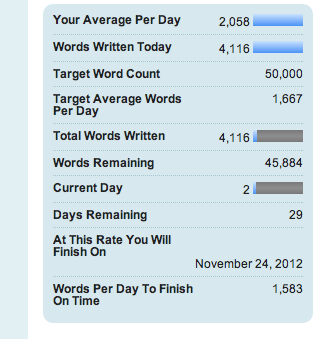 I have to admit that it’s still a bit daunting to think that I have 45, 884 words of this challenge remaining. At least there are 28 more days! kudos to you for embarking on this journey… i wish you the best and look forward to reading the finished product.